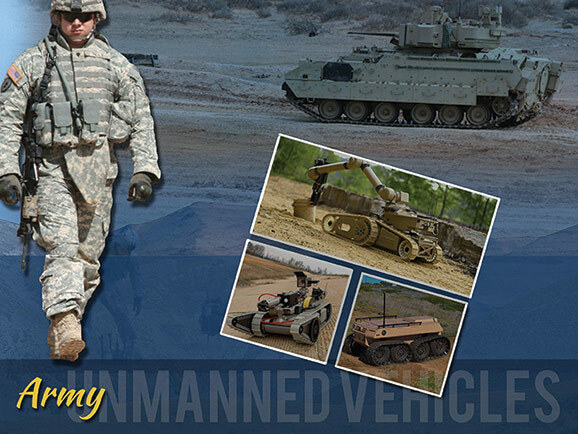 So the Army is now investing $30 million to harness the power of big data analytics, machine learning and artificial intelligence in order to create unmanned ground and aerial vehicles such as future vertical lift and the next generation combat vehicle, said Wins, who is the commander of U.S. Army Research, Development and Engineering Command. Wins spoke on May 4 at an Association of the United States Army “Sustainment” Hot Topics event at the Virginia State University in Petersburg, Virginia. Besides investing in this new, enabling technology, the Army has taken two other significant steps toward enhancing robotics, he said. First, RDECOM, which is a subordinate command of Army Materiel Command, will instead fall under Army Futures Command once it is stood up this year, he said. This will allow AFC to enlist the talent and resources of some 10,000 engineers and scientists in RDECOM, along with its vast network of partnerships throughout industry and academia. Second, RDECOM has entered the Department of Defense’s Algorithmic Warfare Cross-Functional Team, code-named Project Maven, he said. Project Maven was stood up to “integrate artificial intelligence and machine learning more effectively,” according to an April 26, 2017 memorandum from then-Deputy Secretary of Defense Bob Work, announcing its establishment. “Although we have taken tentative steps to explore the potential of artificial intelligence, big data and deep learning, I remain convinced that we need to do much more, and move faster …” the memo states. 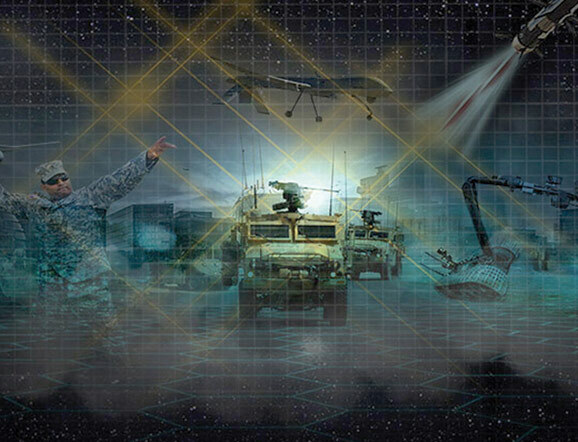 Wins explained some of what the Army expects to get from Project Maven. The project is divided into two phases, he said. Research in phase one involves developing computer decision algorithms to help analyze full-motion video input. Phase two consists of improving on the first phase by broadening the scope, scale and speed of the process to analyze data more quickly and comprehensively. Although this all sounds simple, it’s really not, he said. “To maximize big data, you need a very, very, very robust high-performance computing capability, focused on being able to deal with the volume of information, harness the speed by which data can be generated, and be able to deal with the diversity of data to make it meaningful and informative for the user and then having the ability to trust the information and verify and validate that data and then make it useful,” he said. Besides powering robots, the Army has other areas of interest for AI, machine learning and big-data analytics, said Brig. Gen. Rodney Fogg, commandant, U.S. Army Quartermaster School. AI, big data and machine learning could utterly transform mission command, he said. The technology is already there to do it and it’s very likely that will happen in five to 10 years. Fogg provided an example of what the technology could do for mission command during a battle. An AI-driven system would then quickly respond with an update on quantities and types of ammunition on hand, fuel, maintenance required and medical readiness across the brigade, he said, to include sustainment estimates for the next 48 hours. The computer would also inform the Soldier when the next resupply mission will arrive and what it is carrying, he said. All of this would be possible with powerful software, sensors in vehicles monitoring fuel level and maintenance requirements and relaying it wirelessly to the Soldier in a useful and easy-to-understand, secure format, he said. Lt. Gen. Aundre F. Piggee, G-4, said that the Army has already begun to leverage big data in useful ways. GCSS-Army does things like track supplies, spare parts, organizational equipment, maintenance, total cost of ownership and other financial transactions related to logistics for all Army units. “We have changed the way we manage our supply chain,” he continued. “We’re giving units repair parts that we have concluded will be the parts most needed in austere and high op-tempo environments. “The goal is to have these parts mobile so our units can move in one lift. We are already finding it is saving money. We are filling more of what is demanded. And we are repairing weapons systems faster. All of this has already improved readiness in our formations,” he concluded. 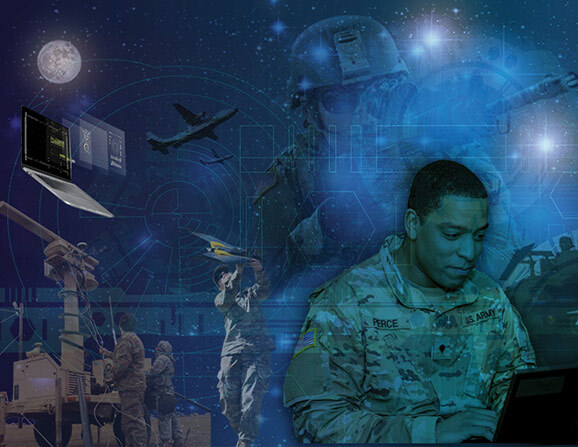 Retired Lt. Col. Jennifer Chronis, general manager, DoD Amazon Web Services, added that Soldiers are already harnessing the power of big data through cloud services, utilizing computing storage and power right to the forward edge of the battlefield. The cloud offers secure data transfer and storage, she said. It is being used by Army cyber protection teams and others to analyze data 500 times faster than before, she said, adding that their analysis has resulted in identifying 60 malicious activities recently.